Learn more about MHEDA’s History, Mission Statement and Objectives. Meet MHEDA’s 2018 Board of Directors and Manufacturers Board of Advisors. Doug Carson, MHEDA’s 2018 Chairman of the Board, looks forward to a great year. Develop your own organizational goals and action steps using MHEDA Material Handling Business Trends. Further the awareness and recognition of the material handling industry within the academic community. The MHEDA Staff is here to serve you with all your membership needs. Meet the staff. Explore the resources to help your business stay competitive and your employee stay connected. Current list of members from across the country. Members earn MVP and MVS status based on commitment to business excellence. MHEDA partners with select providers to offer members cost saving programs. Quick look at the demographics of MHEDA’s membership and membership category descriptions. Members actively involved in programs and activities that Give Back to their community. See what MHEDA has planned for the year ahead. Have a topic or talent you’d like to share? Let us know. Show your support for the industry with numerous sponsorship opportunities . Industry professionals gather each year at MHEDA’s premier industry event for outstanding education and networking opportunities. Start planning now for future MHEDA Convention dates. See where we’ll be. Show your support for the Convention and become a sponsor and get company exposure at the same time. Free networking program that connects members with other members who face the same daily challenges. One-day local events hosted at MHEDA Member locations. Programs and events designed to help women in the Material Handling Industry network and succeed. Show your support for Networking events and become a sponsor. Come visit the MHEDA booth at MODEX and ProMat. Industry specific books to help you stay knowledgeable. Free video to help you promote jobs in the material handling industry. 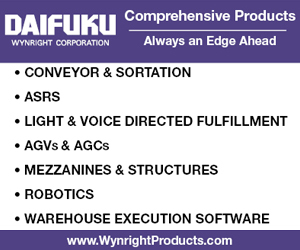 Organizations that provide a variety of products and services in the material handling industry. Quarterly magazine filled with industry related news, breaking news and member information. Stay connected to breaking industry news, member announcements, and upcoming events. Powerful video messaging on Business Trends, Cyber Security Tips, Events and News & Updates. Industry education events to help you learn a variety of business skills. Timely one-hour education programs you can access from anywhere to further your career. MHEDA hosts a variety of networking events every year – see what’s new. Affordable online self-study resources to help you strengthen your career skills. MHEDA is partnering with MSSC to create a new certification – learn more.